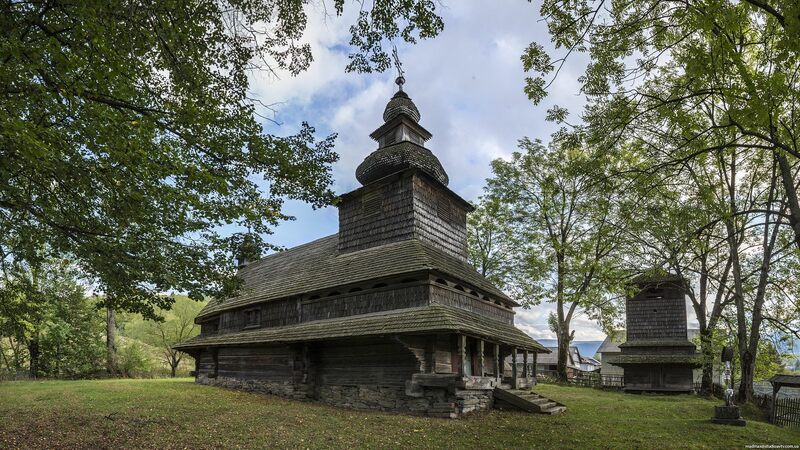 Huklyvyi village, founded by immigrants from Galicia in 1588, is located in the southeastern part of Volovets district of the Zakarpattia region. 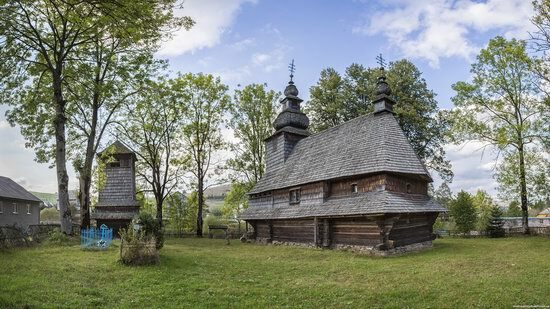 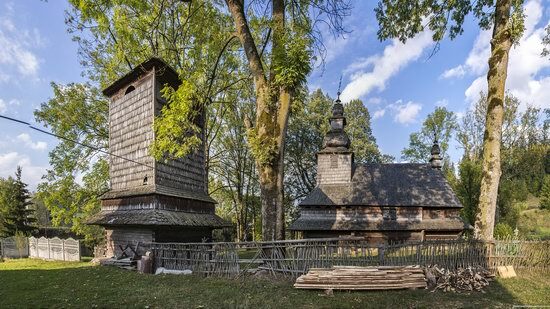 The main sight of the village is an old wooden church – Church of the Holy Spirit, built in the 18th century. 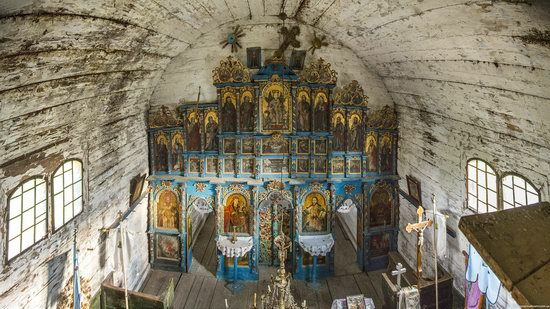 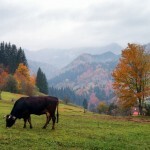 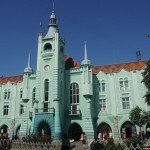 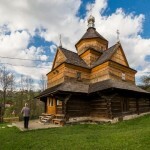 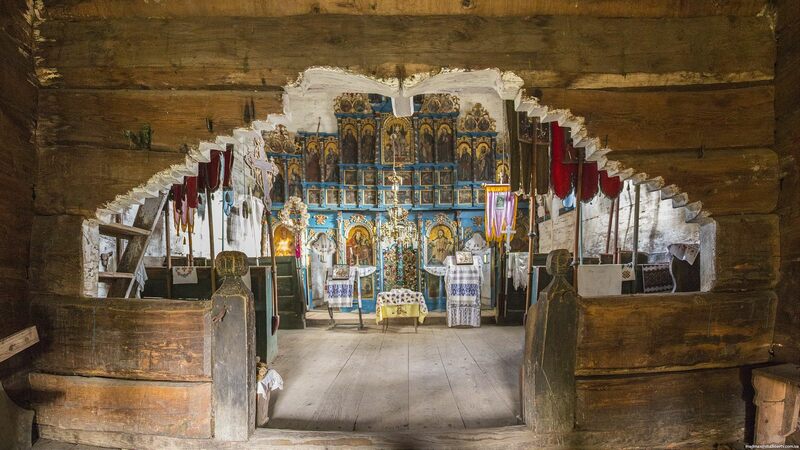 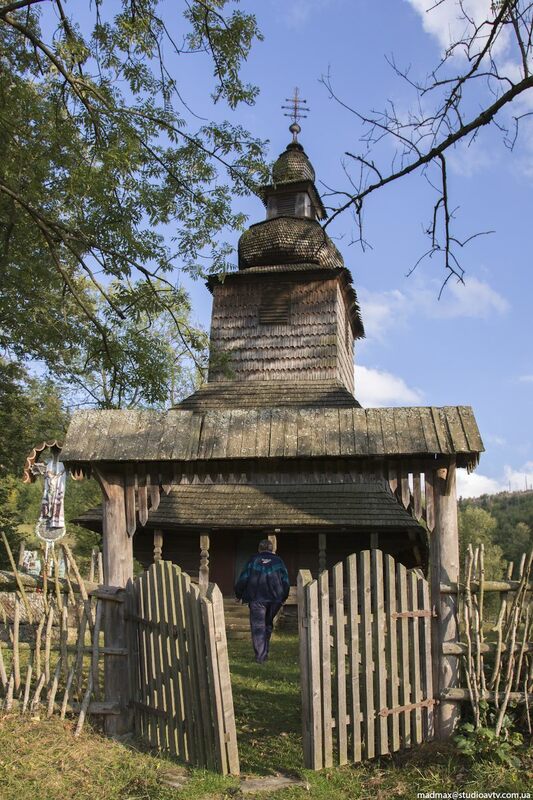 The church is a masterpiece of wooden architecture of Verhovina (the mountainous area within the Ukrainian Carpathians). 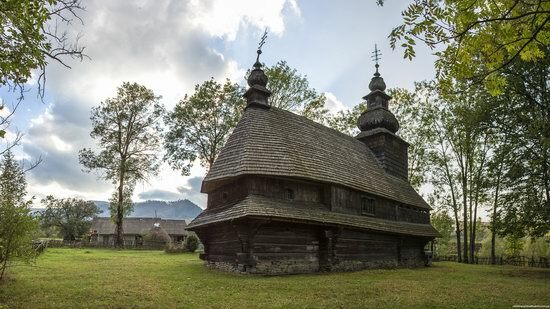 In Soviet times, after 1945, the church was used as a museum of atheism. 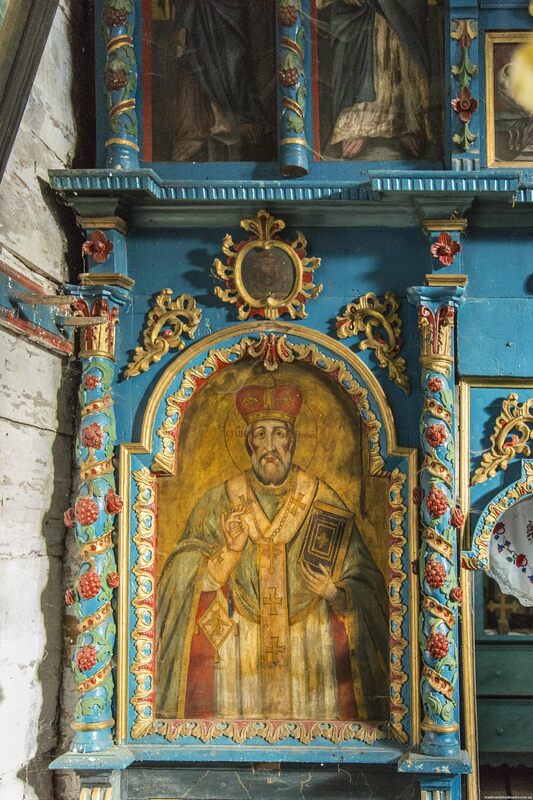 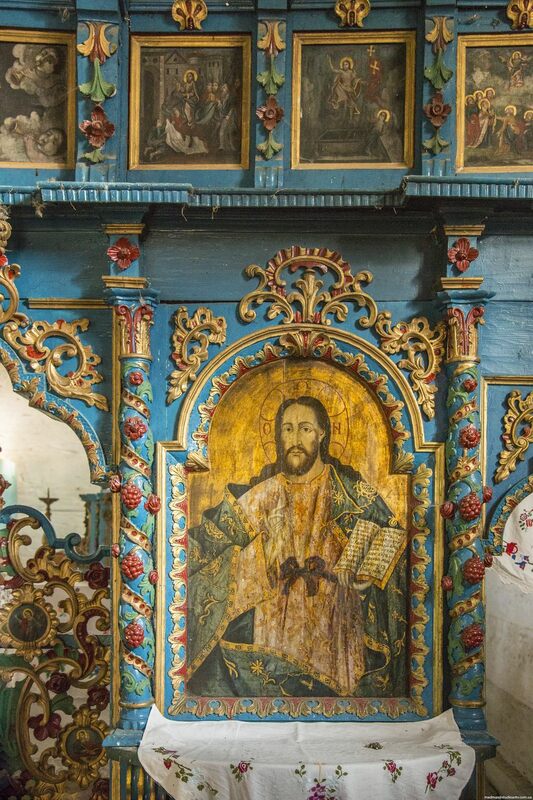 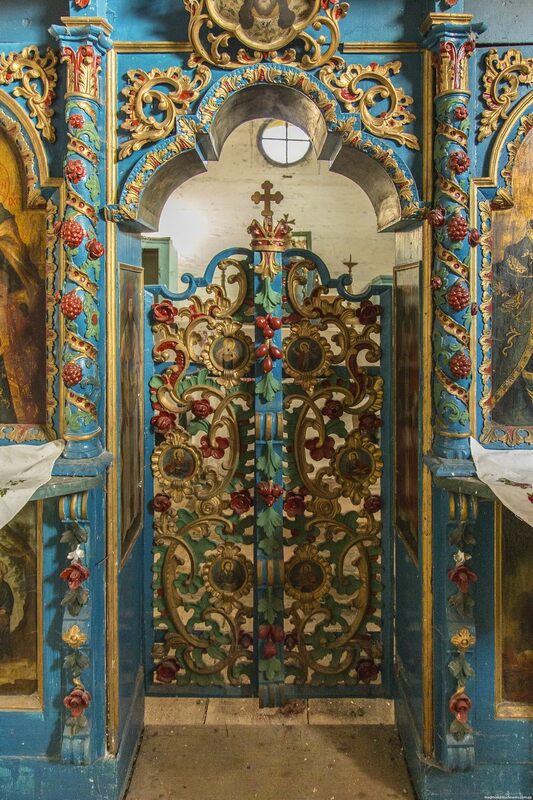 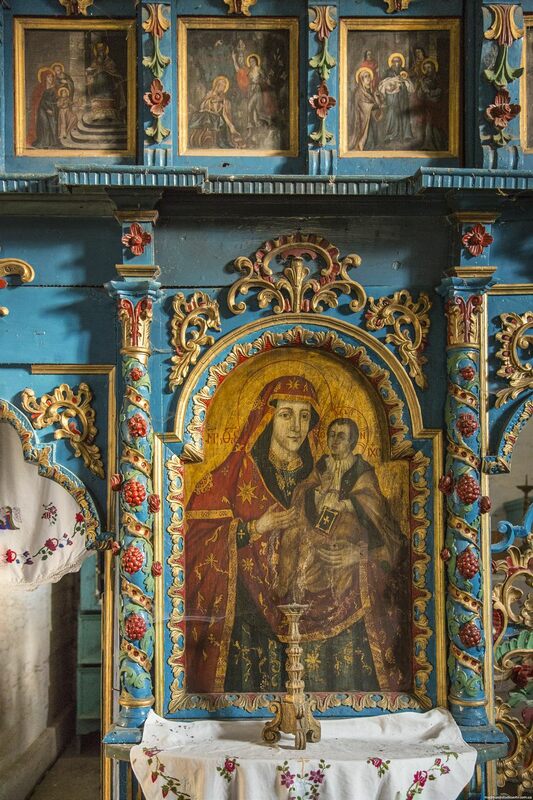 That’s why the interiors and the iconostasis were preserved in pristine condition. 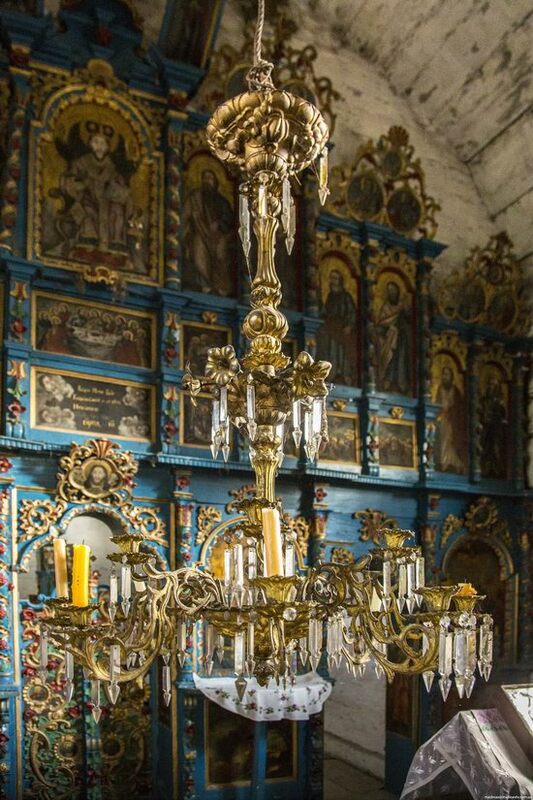 Today, the church is in need of restoration. 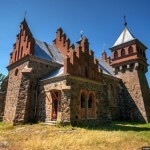 Huklyvyi village on Google Maps. 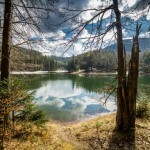 Photos by: madmax.